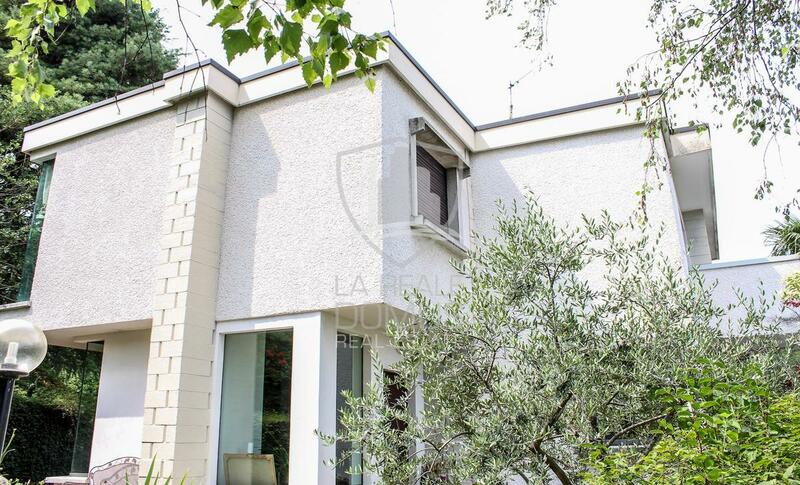 Como behind prestigious Villa Olmo in a panoramic position with beautiful views of the lake and the city we offer for sale a detached villa recently renovated on two levels of living space plus basement. The villa consists on the ground floor of large entrance hall, guest bathroom, living room with fireplace and kitchen with dining area, both overlooking a beautiful panoramic terrace and a pergola ensuring a cool outside summer living area. On the first floor there are three bedrooms with two balconies and two bathrooms. The lower ground floor is occupied by a hobby room, cellar and boiler room all directly connected to the double garage. The property includes 5 parking places. This villa features excellent finishing and is surrounded by a lovely garden, enjoyable and well landscaped totaling about 1,000 square meters. Customer's consent to the processing of data by Reale Domus srl. The customer declares to have read the privacy note and expresses its free and informed consent to the processing of personal data for the purposes specified therein. Please, fill all mandatory fields!